Oddly enough, he said yes. Four days later, the couple’s house was on the market as they began their search for a bus to call home. 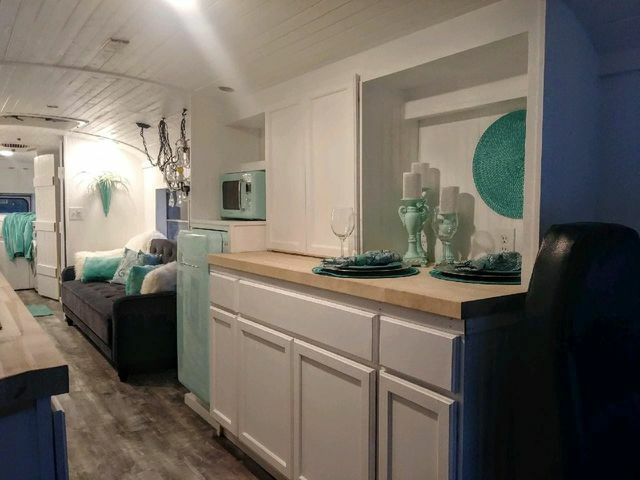 Poking around on Craigslist, they were pleased to find a 1957 school bus named Scarlett, which had already been converted into livable quarters. 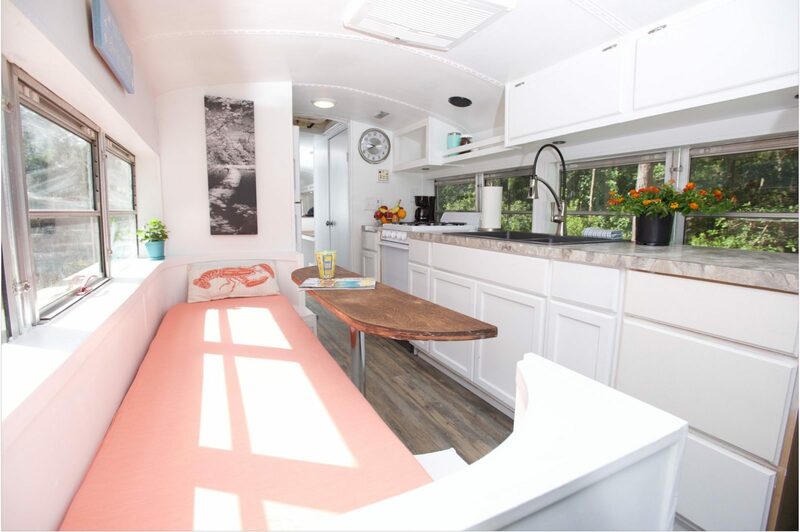 The original owner had made some slick structural alterations, including a raised roof and a dropped floor, which opened up the space so much that Josh, who’s 6-foot-6, need not worry about hitting his head on the bus’s two ceiling fans. Scarlett also sported a hydraulic push-out that would provide an additional 20 square feet of interior space when parked. Josh and Katie Diamond next to Scarlett, the 1957 Kenworth-Pacific school bus they call home. 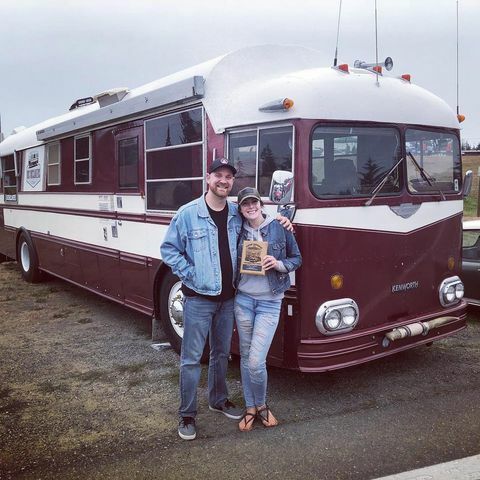 Thrilled, the Diamonds moved in four months ago—and have been chronicling their travels around the U.S. on Bus Buccaneers on Instagram. 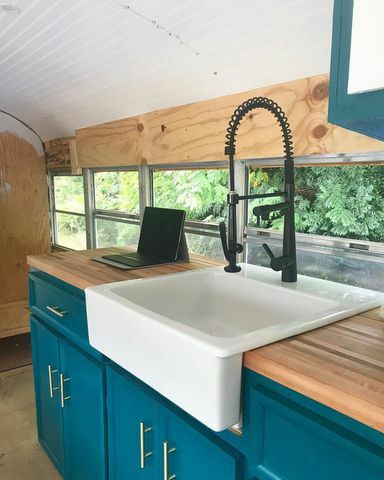 The Diamonds are hardly alone: Skoolies are quickly gaining street cred as the coolest new way to downsize into a tiny home. 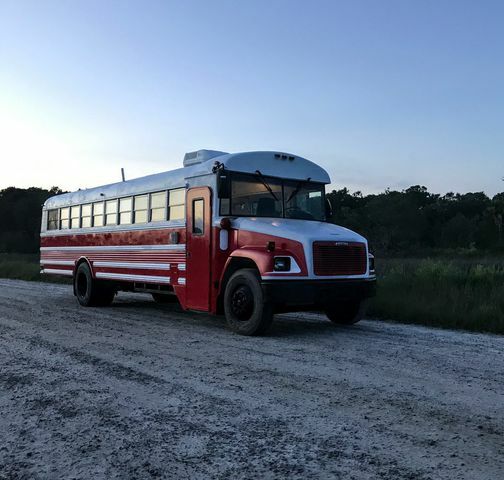 “There’s been an increase in interest in Skoolies, probably double since 2016,” says Missy Miller, who converted her first school bus with her husband, Jeff, after she received it as a Mother’s Day gift in 2009. After traveling in their bus with their seven (!) 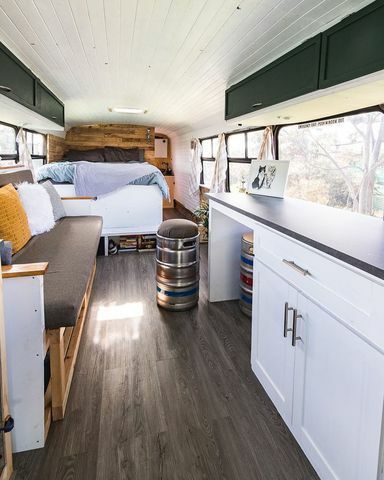 kids for two years, the couple co-founded Skoolie Homes, a company that builds Skoolies for clients, and runs a website with instructions so DIY die-hards can fashion their own. “The Skoolie market is still primarily DIY,” says Miller. However, there is a great demand for information on how to convert a school bus. “We’re in business because people don’t have time or know-how,” she adds. Their growing popularity on Instagram makes clear that Skoolies won’t give you grungy high school flashbacks. 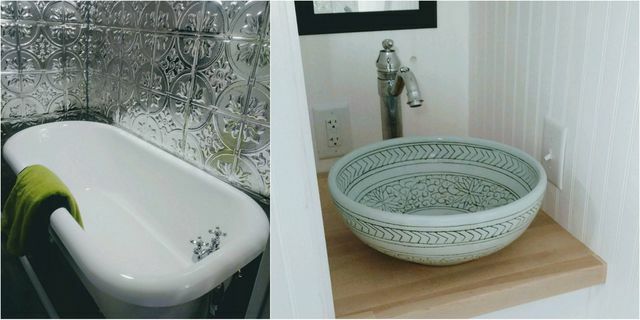 These tiny homes are furnished with astonishingly luxurious features. Think hardwood floors, shiplap walls, washers and dryers, roof decks, solar power, even claw-foot tubs. 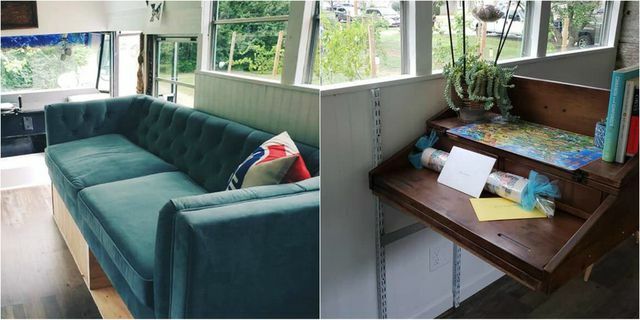 You’d never guess this home was once a school bus. Much like for RVs, custom options are available to personalize Skoolies. So how far will your money go in a school bus home? 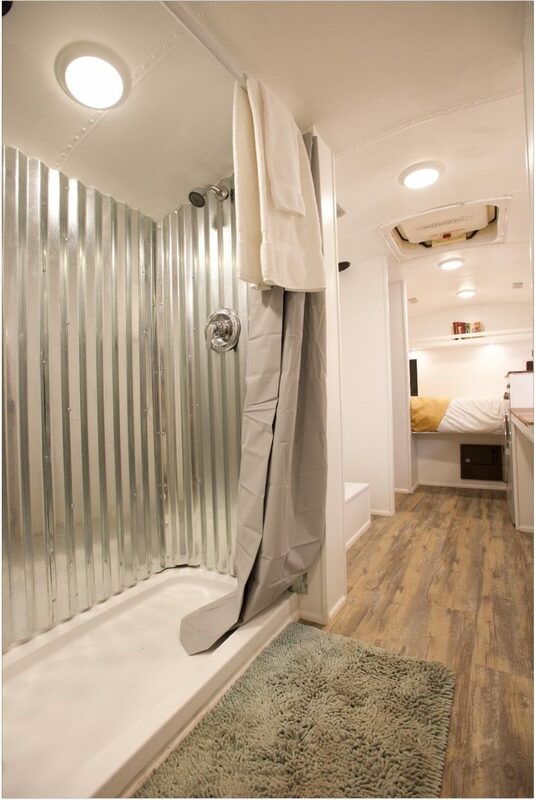 According to Miller, the Skoolie Homes base model runs $35,000, which includes a basic bedroom (full or queen size), twin bunks, a bathroom, kitchen, and washer/dryer. 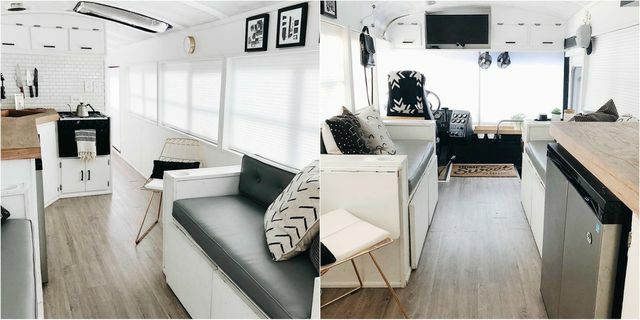 The company offers a more luxurious custom build with the “Glamping Bus,” which has upgrades like a tufted couch, dishwasher, and claw-foot tub, and costs about $55,000. 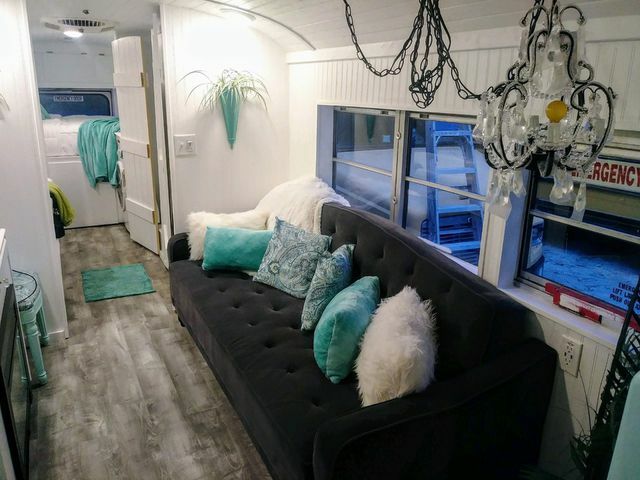 A luxe custom build from Skoolie Homes, the “Glamping Bus,” costs about $55,000. 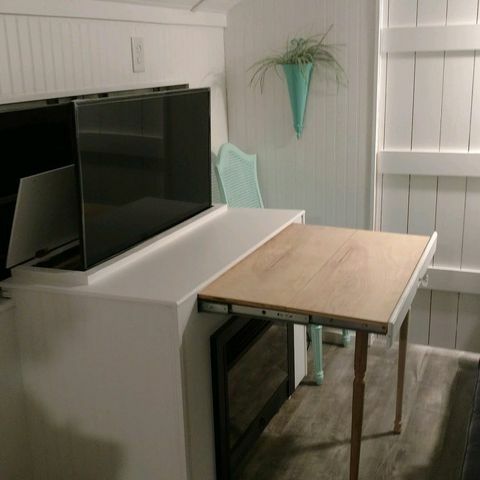 This space-saving custom piece is a fireplace, entertainment center, and fold-out table all in one. 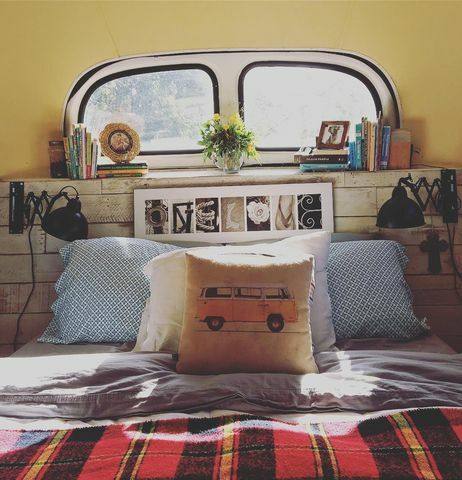 Right now, the biggest market for Skoolie Homes is millennials. 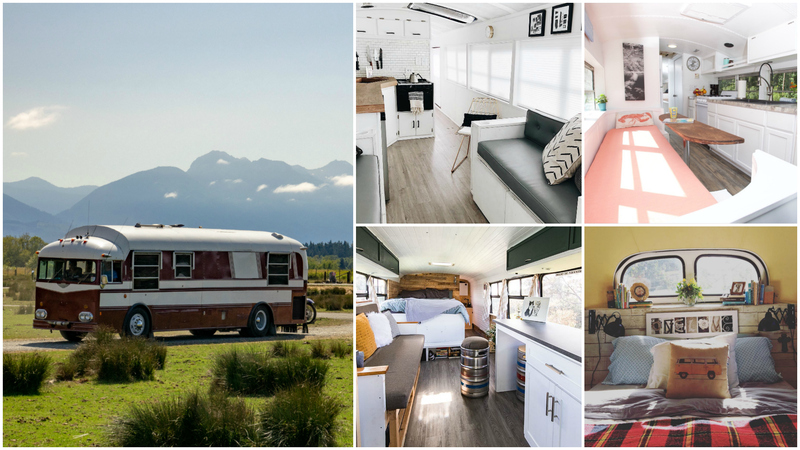 Skoolie living doesn’t have to mean sacrificing style. If open floor plans are your thing, just say no to walls. 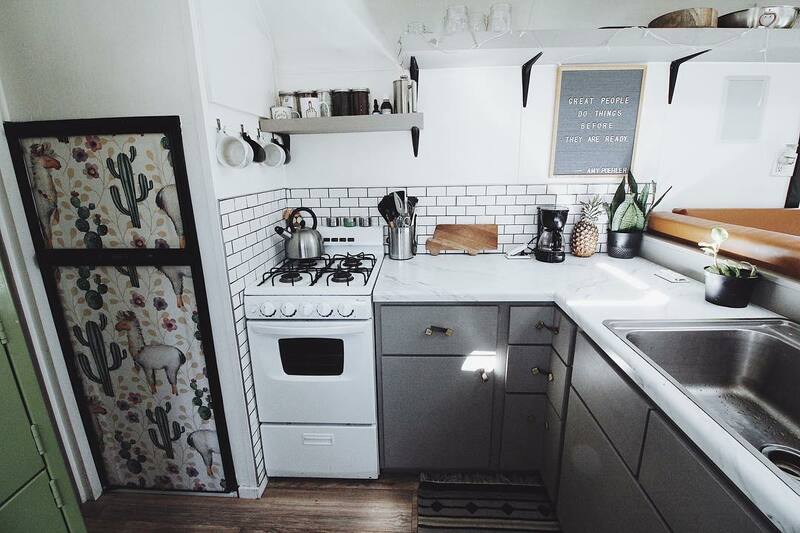 This kitchen features an apron sink, butcher block counters, teal cabinets, and metal hardware. 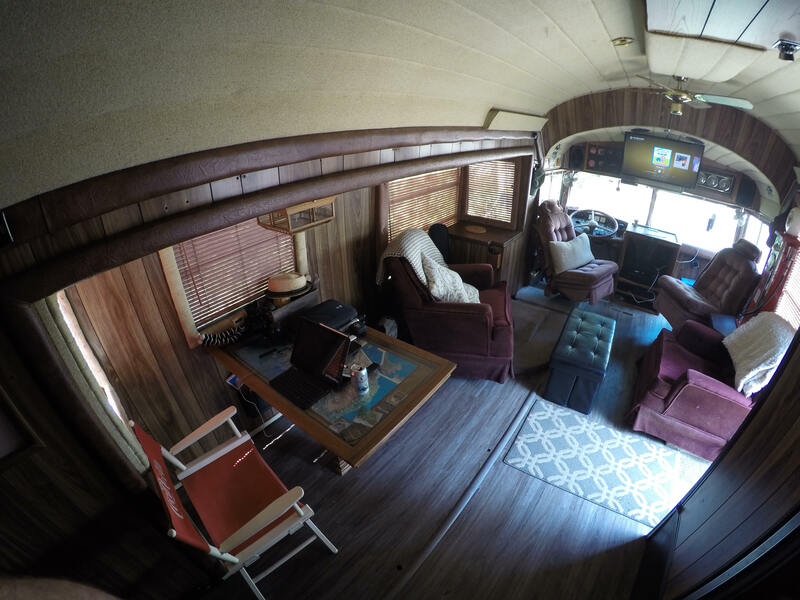 This Skoolie comes with a tufted blue couch and writing desk. This master bedroom is as cute and cozy as can be.